Casa Grande Valley Newspapers Inc. is a privately owned and operated newspaper and commercial printing company located in Casa Grande, Arizona. It publishes a daily newspaper, five weekly newspapers and four specialty publications. PinalCentral.com is the online version of the company’s newspapers. 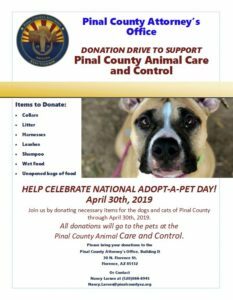 These newspapers and other publications cover an area of more than 140 miles east to west and 50 miles from north to south; a sprawling and dynamic area that includes Pinal County – Arizona’s third most populous. This vital area, not as thoroughly covered by any other medium or combination of media, includes more than 400,000 people, engaged in such diverse occupations as farming, cattle ranching and feeding, to manufacturing, tourism and retail sales. Its flagship daily newspaper, the Casa Grande Dispatch, is published Tuesday through Sunday mornings. The Dispatch turned 100 years old in January 2012, and is Casa Grande’s oldest business in operation. Founded in 1912 by Evans T. Richardson, the newspaper was purchased by Ruth and Donovan M. Kramer Sr. in 1962, and CGVNI is one of the area’s largest employers. Click here for a history of the Dispatch.